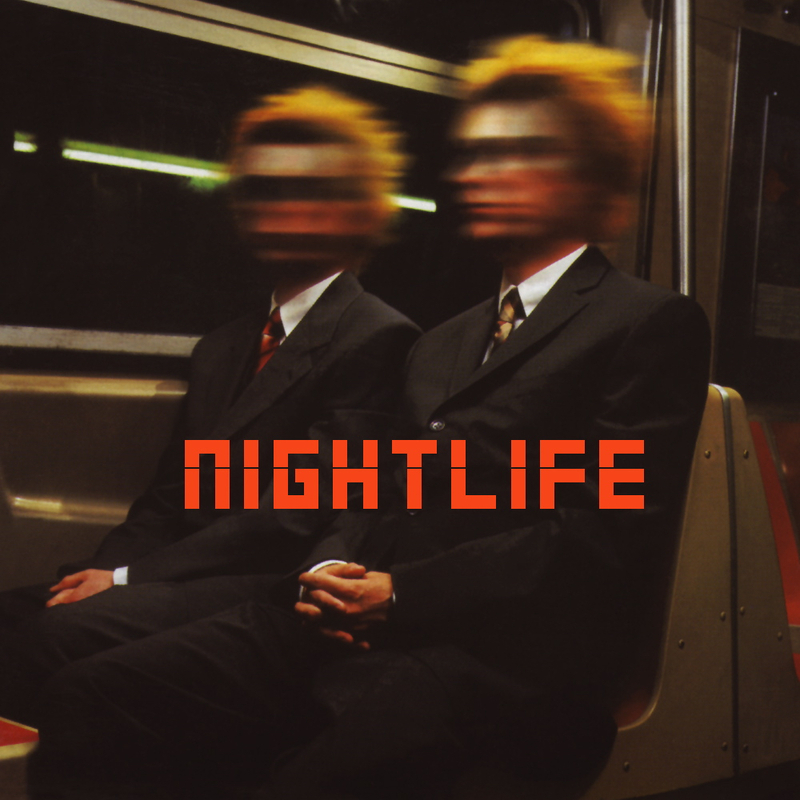 Today’s POP RESCUE is the 1999 seventh album by The Pet Shop Boys – Nightlife. Somehow I allowed this album to pass me by, so when I spotted this album for for a bargain price on eBay, I decided to rescue it and finally give it some time. This 12 track album opens with For Your Own Good, which gently builds up from a choir vocal, before building up to a throbbing beat with Neil Tennant’s familiar vocals sitting on top. A synth bubbles along in the background under the command of Chris Lowe and under the watchful producer eye of Rollo (Faithless, and Can You Forgive Her? remixes). Pauline Taylor (former Faithless vocalist) gets a vocal credit here – providing some perfectly contrasting dance vocals for this track. It’s a thumping, building, track. Continuing the dance-orientated sound, Closer To Heaven follows. This song opens with some near falsetto vocals before a chugging beat and synth snarls in. This is much lighter and somewhat Robert Miles-sounding. The song was to become the title to the Pet Shop Boys and Jonathan Harvey musical that saw fame from 2001 onwards. This song was produced and arranged in collaboration with Craig Armstrong, whose grand sound is noticeable throughout, particularly the ending which seems to replicate an earlier track from his The Space Between Us album of the previous year. This is followed by Happiness Is An Option, which opens with ‘It’s not easy!’ from Sylvia Mason-James (former Voyage singer, and collaborator with Jimmy Nail, Robbie Williams amongst others), with what reminds me of Gangstar’s Paradise beats and choral section, but with Neil doing that talking-singing that he does so well over Rachmaninoff’s Vocalise Op.34, No.14. Strings and a pulsating synth open the third and final single from the album, You Only Tell Me You Love Me When You’re Drunk, which seems to have it’s style tinged with country music. Again, we’re charmed with more production from Craig Armstrong. This is a nice song, fairly catchy, but not as much as the lead single. Vampires follow this, opening with some eerie nightlife sounds, before a menacing bassline comes in alongside some downbeat drums and strings. Craig Armstrong once again puts his mark in this song – in production, orchestration, keyboards and piano, and at times I can almost hear a distant cousin to Massive Attack’s Sly track. Up next is Radiophonic, a return to pumping dance track. Rollo is back here on mixing duties, but this is a great little dance track, and Neil’s vocals are strong here – and this track probably wouldn’t sound out of place on their more recent albums like Elysium or Electric. The Only One is next, and this is a lovely simple mellow track, and Neil’s vocals gently work their way through the song. Again, Craig Armstrong’s orchestration is instantly evident, whilst there’s some wonderful sounding affected vocals and sounds throughout. This feels a bit like an album closer, but we’ve got some way to go yet. Ninth track, Boy Strange, takes us back under the wing of Rollo, and opens with some timpani (i think), and a gentle percussive beat as a swirling synth builds. Suddenly it gives away to an… yes… acoustic guitar and Neil Tennant’s vocals. There’s a slight David Bowie feeling to Neil’s vocals in this song, and given the title and the subject of the song, maybe that’s not so unintentional. This is followed by In Denial – probably one of the most well-known songs from this album, due to the guest vocalist appearance of Kylie Minogue. In my opinion, this song is not particularly tuneful – it feels disjointed. Whilst Neil holds his vocals fine, Kylie’s feel weak and unstable, and at times a bit pained. At this point in her career, Kylie had suffered a drop in sales and had left label deConstruction, and was yet to start spinning around again. But after recording this, she joined Parlophone and returned to fame. Kylie has since performed this song in various shows, including her Showgirl tour. Disco comes unashamedly bursting in, with second single New York City Boy, a kind of early Your Disco Needs You (by aforementioned Kylie), complete with camp video and men’s choruses throughout. The pace is fast, and I can imagine that this song attracted mixes by the bucketload. The album closes with Footsteps, with a grand, rich sound – orchestral influences from Armstrong again, and with those familiar male voice choir soundscapes. There’s elements of single Red Letter Day (from their previous album) in here. It’s a nice enough song, but it doesn’t feel particularly like a Pet Shop Boys song. This album deserved to be in my collection from new. It’s less dance-orientated and camp than Very, and feels like an orchestral evolution on from the predecessor Bilingual album. There’s some interesting new areas for the PSBs to try here – the acoustic sound of Boy Strange, and the country sounds of You Only Tell Me.. feel like fresh ground (regardless of whether you liked them). Neils vocals here are, as ever, perfect, but with the heavy involvement of Craig Armstrong, some of the songs feel like he’s swept across a lot of songs with some similar ideas. I think Morales needed more of a go on this album. Where are The Pet Shop Boys now? The Pet Shop Boys found greatest success with this album in Germany, where it gave them a #2 hit. Since this album, the group have released five further albums, with their most recent being their twelfth – Electric – from 2013. Prior to the release of Electric, the duo parted company with label Parlophone after 28 years, and have begun releasing under their own label x2. The duo have continued to work with other artists, and have also worked on stage shows, and soundtracks. They are currently writing their thirteenth album. POP RESCUE COST: £1.52 from an eBay seller. Posted in 1990s, Kylie Minogue, Pet Shop BoysTagged 1999, album, Closer To Heaven, Craig Armstrong, Faithless, I Don't Know What You Want But I Can't Give It Any More, In Denial, Jonathan Harvey, New York City Boy, Nightlife, Parlophone, Pauline Taylor, PSBs, Rachmaninoff, review, Rollo, Sylvia Mason-James, You Only Tell Me You Love Me When You're DrunkBookmark the permalink.